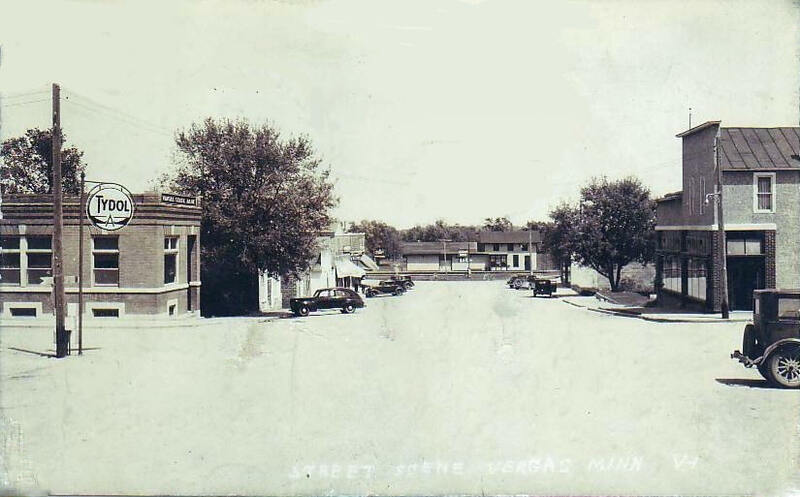 Do you have photos, historical accounts or other items pertaining to the Vergas area? Would you like to share this historical information with the world? LakesnWoods.com would like to publish your Vergas photos (current or historical) or historical accounts on this website. Original materials can be returned and your privacy will be respected. 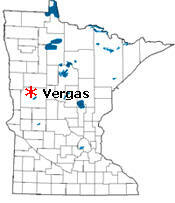 Vergas is a city in Otter Tail County, Minnesota, located at the junction of State Highways 4 and 17 at the west end of Long Lake. 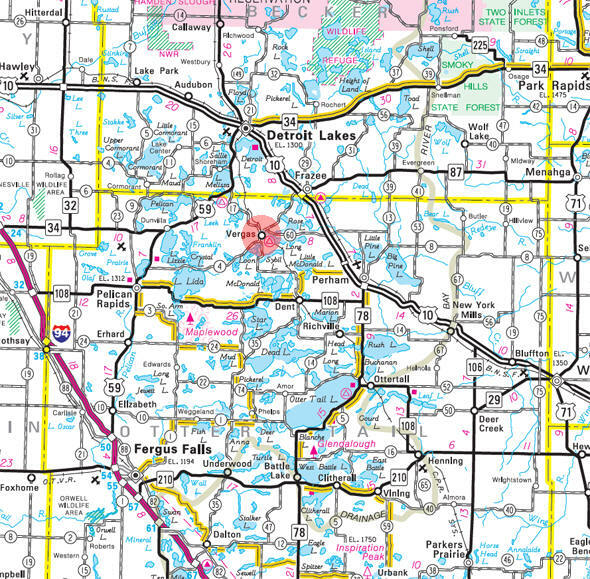 Loon Lake is southwest of the community. 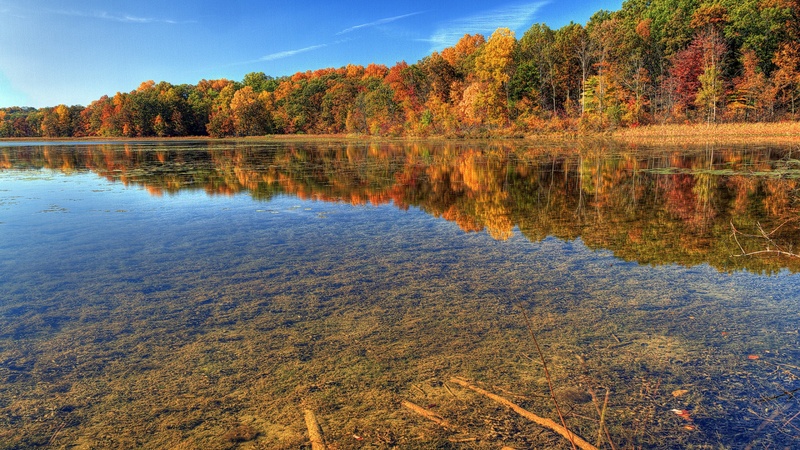 According to the United States Census Bureau, the city has a total area of 1.50 square miles (3.88 km2), of which 1.46 square miles (3.78 km2) is land and 0.04 square miles (0.10 km2) is water. The elevation is 1,414 feet (431 m). As of the census of 2010, there were 331 people, 176 households, and 88 families residing in the city. The population density was 226.7 inhabitants per square mile (87.5/km2). There were 202 housing units at an average density of 138.4 per square mile (53.4/km2). The racial makeup of the city was 99.1% White, 0.3% African American, 0.3% from other races, and 0.3% from two or more races. Hispanic or Latino of any race were 0.3% of the population. There were 176 households of which 14.8% had children under the age of 18 living with them, 42.6% were married couples living together, 3.4% had a female householder with no husband present, 4.0% had a male householder with no wife present, and 50.0% were non-families. 42.6% of all households were made up of individuals and 23.3% had someone living alone who was 65 years of age or older. The average household size was 1.88 and the average family size was 2.55. The median age in the city was 52.5 years. 13.3% of residents were under the age of 18; 5.6% were between the ages of 18 and 24; 22.6% were from 25 to 44; 30.8% were from 45 to 64; and 27.5% were 65 years of age or older. The gender makeup of the city was 49.5% male and 50.5% female. VERGAS, a city in sections 24 and 25 of Candor Township, was platted under the name of Altona in the fall of 1903 and was so incorporated February 23, 1905. Its present name is for one of four in the "V" series used to designate Soo Line sleeping cars that traveled between Minneapolis and Winnipeg, the others being Viking, Venlo, and Venus. The post office began as Candor in 1904, the railroad station was Vergas, and the townsite was Altona, all names changing to Vergas in 1903. 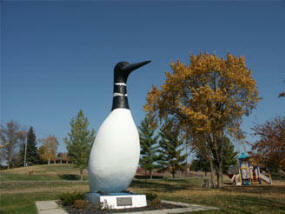 A major tourist attraction is the Vergas Loon, a 20-foot-tall replica overlooking Loon Lake, dedicated in 1963 to the memory of the community's third postmaster Edward (Ewald G.) Krueger, who served from 1933 until his death in 1962, a major advocate of a community park opened in 1958.